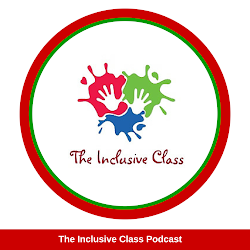 Years of research and experience tells us that inclusive education, which is the practice of educating all children of all abilities in one classroom, is the gold standard. However, many schools still have classrooms where children with disabilities are removed and educated from the rest of the student population. 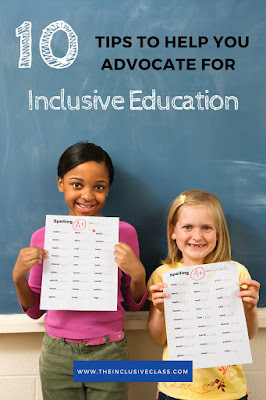 The Individuals with Disabilities Education Act (IDEA), originally enacted in 1975 and with many revisions since, provides guidance to educating children with disabilities. Though the word, “inclusion”, isn’t specifically used in the IDEA, it mandates that children with disabilities be educated in the Least Restrictive Environment. 1. To ensure your child receives a successful inclusive education, it's important to know the definition of inclusive education. 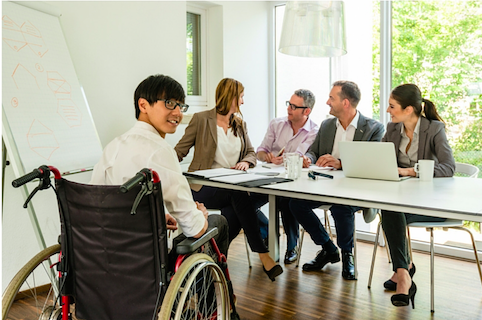 There are many terms and definitions associated with inclusion. There are several reliable resources that describe inclusion, including this video on The Inclusive Schools Network site. 2. Find out the federal laws that the Individuals with Disabilities Education Act has mandated to support the education of students with disabilities. Wrightslaw.com is a great place to get to know the law in easy-to-understand language. Understand the function of a 504 Plan and an Individual Education Plan and ways in which they can be used to promote inclusion. 3. Get familiar with the research that supports inclusive education. Inclusive education has been proven to be beneficial to the social, academic, physical and emotional growth for both students with and without disabilities. 4. Learn your school district’s history with inclusive education. Have they been known to bus students with special needs to magnet schools miles away from your neighborhood? Or, do they provide supports in neighborhood schools? Are there schools that are very inclusive or schools that have segregated classrooms? A phone call to the school district office can often answer those questions and prepare you for future conversations. 5. Reach out to national organizations such as MCIE, TASH, and The ARC, who support the inclusion of people with disabilities in all areas of life, including school. 6. 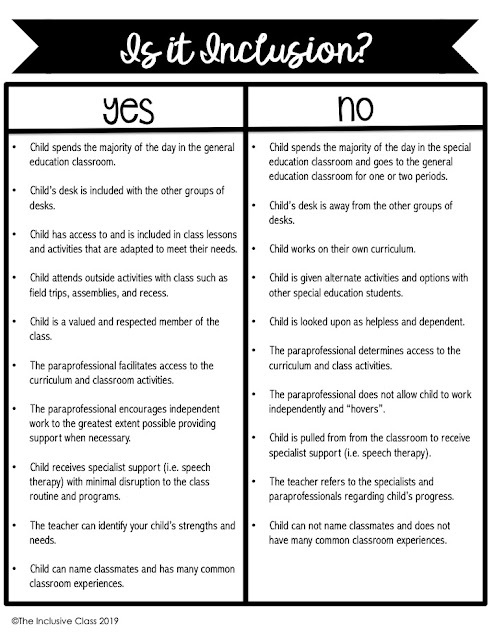 While advocating for an inclusive setting for your child, you need to be willing to provide all relevant information about your child’s special needs to the appropriate school personnel. Being honest and upfront about your child’s strengths and weaknesses will be helpful in deciding what types of supports are needed in and around the school. Parents can give schools comprehensive information to provide a greater understanding of the child’s needs and abilities. 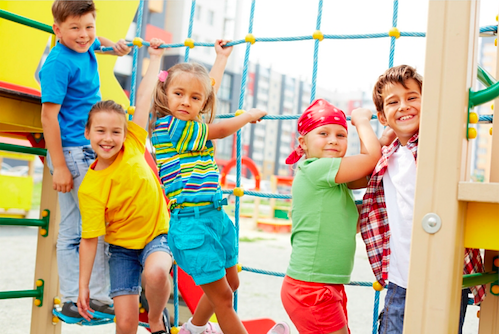 For example, parents can easily identify what will work and not work in certain situations such as transitions, large groups or recess time. If applicable, tell the school if your child is being included elsewhere or has prior experience with inclusive settings. You can offer to bring in videos and pictures as examples of how your child is included in the community. By providing this information in an open and honest manner, either through conversation or a portfolio, the stage can be set for successful inclusion. 7. Have a few inclusive education resources on hand to share with school staff. These resources can be in the form of hand-outs, books, videos or photos which can be easily found online or in a bookstore. Brookes Publishing has numerous professional books about inclusive education. 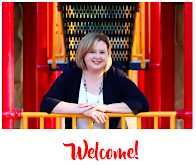 First, these resources help inexperienced staff envision what inclusion looks like. Second, resources can offer guidance in how inclusive schools operate, how classwork is handled and ways in which students can be included. 8. Look for resources in your community. Many communities have organizations that offer training and support for inclusion. Tapping into outside agencies can provide extra materials and expertise. 9. Find others who have gone before you and ask for their ideas and suggestions. Learn from their experiences, take notes, and ask questions. Facebook and Twitter are great places to connect with others who are in similar situations or have advice. 10. Know that inclusive education is not a program that can be handled by one classroom teacher. It requires a system of support from the principal to the teacher, bus driver, lunch supervisor and recess monitor. Your child’s inclusion will also require your participation. You will need to be available for meetings, respond to correspondence, and regularly communicate with your child’s teacher. Don't forget to take notes of names, dates, and conversations you've had with district personnel. Parents can face many challenges when seeking an education for their child with disabilities in the American public school system. For example, how do parents find the most appropriate education for their child’s specific needs? How do they know if it is the most ideal situation? Will their choices be supported by school personnel, and if they aren’t, how do parents advocate for a more suitable placement? Finally, what if the school's vision of education does not align with yours? It can be an uncertain time but can be made more bearable by doing some research and knowing a few key strategies for advocacy.